Welcome Speech by Renova Inc. Mr Yoshinobu Kusano. Over 800 biomass power projects, generating more than 16GW, were approved in Japan by last October. Total biomass demand is projected to almost triple from present rates to 23 million tons in 2025. 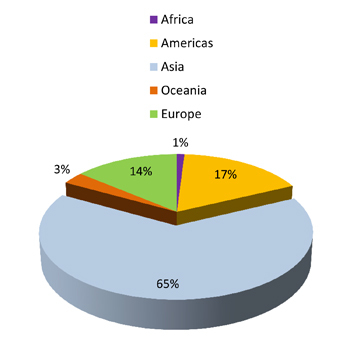 Wood pellet demand will jump from 500,000 tons to 9.5 million tons in 2025. The Japanese government has since then stopped the issuance of set price Feed-in-Tariff (FiT) subsidies for new application and replaced with a new tendering system. With current state of domestic supply infrastructure as well as from Canada, USA & SEAsia – this demand growth raises concerns over biomass fuel availability and sustainability. 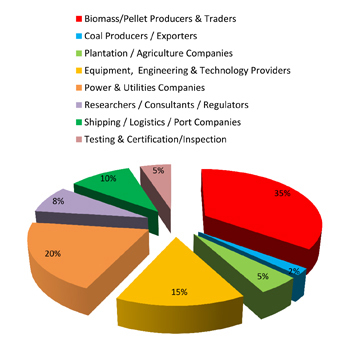 How will the Japanese buyers strategize and ensure that “sustainability-certified” biomass are sourced on term contracts (wood pellet, wood chips, PKS) to feed this wave of massive requirement? In South Korea, biomass sourcing competition rose as IPP and biomass conversion capacity in South Korean grew, resulting soaring imports of wood pellet. Wood pellet demand is also expected to increase, given the rise in new biomass-consuming facilities scheduled to come on line in the next few years. Imports could reach over 2 million tons this year as utilities continue to transition to a broader use of biomass. The volatile REC prices discourage buyers to engage in long-term offtake agreement. With relatively lenient sustainability criteria, this demand growth has spurred rapid growth in production capacity in Vietnam to satisfy South Korean tenders. And on a brighter note, biomass power activities are growing in Taiwan, will the domestic agricultural residues be sufficient to feed the boilers? 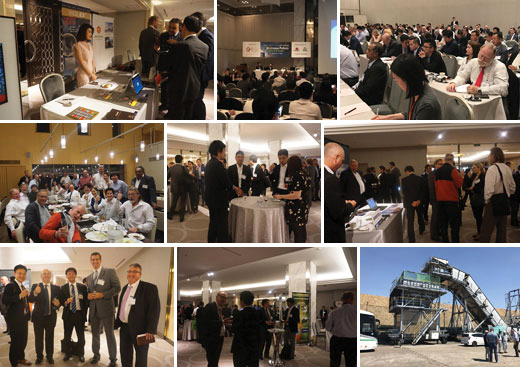 Register NOW to attend CMT’s 9th Biomass Pellets Trade & Power conference with your team. Contact huiyan@cmtsp.com.sg for attractive early bird group discounts. Post-conference site visit to United Renewable Energy (URE) 20MW biomass power plant at Akita City offering you live experience of biomass utilization in power generation and stock piling facility. (도쿄 2018년 3월 13일 PRNewswire=연합뉴스) Poyry, Indufor, J. Lauritzen, Renewable Energy Institute, Pinnacle Renewable Energy, Ata Marie, Korea Ratings 및 RFP Group이 촉진하는 'Biomass Sourcing Strategies in Current Challenging Market(도전적인 현 시장에서 바이오매스 소싱 전략)'에 관한 워크숍을 시작으로 막을 올릴 이번 행사는 바이오매스 구매자와 공급자를 다시 연결하고, 사업 전망을 논의할 수 있는 핵심적인 만남의 장이다. 일본바이오매스발전사업자협회(Japan Biomass Power Association)는 현 FIT 정책 변화에 따라 일본의 바이오매스 발전[ http://www.cmtevents.com/aboutevent.aspx?ev=180501&pu=274484 ]과 수입 전망을 업데이트하고자 한다. 후원업체 Sumitomo와 Renova는 각각 '일본의 바이오매스(목재 펠릿, PKS, 목재 칩) 수요 충족'과 '일본 내 IPP 바이오매스 발전의 경쟁력'에 대해 발표할 예정이다. 그뿐만 아니라 일본제지(Nippon Paper Industries)가 바이오매스 기반 발전 사업을 공유하고, NYK 벌크 프로젝트 주식회사(NYK Bulk and Projects Carriers)가 목재 펠릿 및 PKS와 관련된 일본의 선적 및 물류 우려 사항을 분석할 예정이다. 플래티넘 후원업체인 캐나다 우드펠릿협회(Wood Pellet Association of Canada, WPAC)는 올해 행사에서 네트워킹 리셉션을 개최하는 한편, "캐나다의 목재 펠릿 수출업체가 유럽 대신 아시아를 선택할 것인가? "라는 핵심 질문을 다룬다. 바이오매스 에너지 생산업체인 한화에너지(Hanwha Energy)는 한국의 IPP, 동시 소성 프로젝트[ http://www.cmtevents.com/aboutevent.aspx?ev=180501&pu=274484 ], 목재 펠릿 용량과 수입 요건을 소개할 예정이다. 또한, 올해 행사에서는 다음과 같은 주제의 논의도 진행된다. 이번 행사는 CellMark, Enviva 및 Russia Forest Products (RFP) Group의 패널리스트들이 주도하는 북아시아를 위한 국제 공급에 관한 마무리 패널로 막을 내릴 예정이다. 행사 4일째에는 URE 바이오매스 발전소 견학이 예정돼 있다. 이번 행사는 Centre for Management Technology가 조직하고, Enviva가 기업 후원사로 합류하며, KAHL, Airex Energy, CPM Global Biomass Group, Control Union, Valmet 같은 전시업체가 참여할 예정이다. 추가 정보는 행사 웹사이트[ http://www.cmtevents.com/aboutevent.aspx?ev=180501&pu=274484 ]를 방문하거나 Huiyan(+65 63469113)에 문의한다. There is no better place to enter the market, showcase products, promote your brand, and meet new business partners and distributors. Exhibition Booths are NOW available for booking. CLICK HERE now for more information & to secure your booth. Poyry, Indufor, J. Lauritzen, Renewable Energy Institute, Pinnacle Renewable Energy, Ata Marie, Korea Ratings 및 RFP Group이 촉진하는 'Biomass Sourcing Strategies in Current Challenging Market(도전적인 현 시장에서 바이오매스 소싱 전략)'에 관한 워크숍을 시작으로 막을 올릴 이번 행사는 바이오매스 구매자와 공급자를 다시 연결하고, 사업 전망을 논의할 수 있는 핵심적인 만남의 장이다. 일본바이오매스발전사업자협회(Japan Biomass Power Association)는 현 FIT 정책 변화에 따라 일본의 바이오매스 발전[http://www.cmtevents.com/aboutevent.aspx?ev=180501&pu=274484 ]과 수입 전망을 업데이트하고자 한다. 후원업체 Sumitomo와 Renova는 각각 '일본의 바이오매스(목재 펠릿, PKS, 목재 칩) 수요 충족'과 '일본 내 IPP 바이오매스 발전의 경쟁력'에 대해 발표할 예정이다. 그뿐만 아니라 일본제지(Nippon Paper Industries)가 바이오매스 기반 발전 사업을 공유하고, NYK 벌크 프로젝트 주식회사(NYK Bulk and Projects Carriers)가 목재 펠릿 및 PKS와 관련된 일본의 선적 및 물류 우려 사항을 분석할 예정이다. 바이오매스 에너지 생산업체인 한화에너지(Hanwha Energy)는 한국의 IPP, 동시 소성 프로젝트[http://www.cmtevents.com/aboutevent.aspx?ev=180501&pu=274484 ], 목재 펠릿 용량과 수입 요건을 소개할 예정이다. 추가 정보는 행사 웹사이트[http://www.cmtevents.com/aboutevent.aspx?ev=180501&pu=274484]를 방문하거나 Huiyan(+65 63469113)에 문의한다. The Japanese government has received overwhelming response to its Feed-in-Tariff (FiT) subsidy scheme for biomass power that it introduced in 2002. As of September 2017, the Ministry of Economy Trade and Industry (METI) had issued contracts of over 16 GW of biomass capacity – which is much higher than its target of 6-7 GW in 2030. As a result the Japanese regulators have introduced some changes to its FiT subsidy program. At the end of 2017, it announced to stop the issuance of set price FiT subsidies for most biomass power plants. Instead METI will now offer a set amount (in MWs of capacity) of FiT contracts for potential suppliers to bid on under a new tendering system. The first round of bidding under the new tendering system is expected to start on April 1, 2018 and end on March 31,2019. The total pool of 200 MW of biomass capacity will be available for tendering and the maximum bid price is set at the previous FiT level, 21 ¥/kWh. Japanese regulators are confident of sufficient certified capacity under the FiT scheme, and the new system will enable more predictable budgets and cost reduction. FutureMetrics projects Japanese wood pellet demand to increase to 9.5 million tonnes in 2025 with total biomass demand expected to reach 23 million tonnes in 2025. 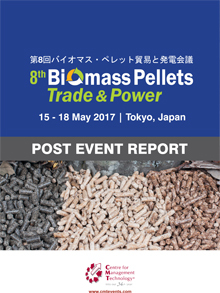 More about FiT subsidies and biomass projects in Japan at CMT’s 9th Biomass Pellets Trade & Power on 14-17 May, 2018 in Tokyo, Japan. Japan’s power utlity - Chubu Electric that provides electricity for the middle Chūbu region of the Honshu island of Japan, has decommissioned two of its thermal power plants. The two decommissioned thermal power plants are 500 MW Astumi-1 oil-fired power plant in Tahara-shi (Aichi) and two 220 MW gas-fired units (units 1 and 2) at the Yokkaichi power in Yokkaichi-shi (Mie) in Japan). Out of these decommissioned units, Chubu plans to transform its Yokkaichi-1 unit to a biomass-fired power plant. 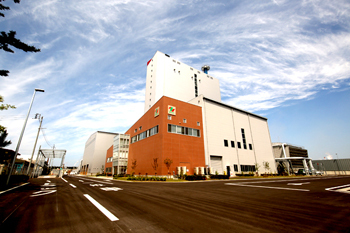 Chubu Electric plans to start construction of the biomass-fired installations in May this year – with commercial operations planned for April 2020. Expected to have an installed capacity of 49 MW, the new biomass fired plant will use wood pellet and palm coconut shells as primary feedstock. The Atsumi power plant has 4 units and one of its units - Atsumi-2 (500 MW) was decommissioned in March 2004. The Atsumi-3 and Atsumi-4, uses heavy oil or crude oil as fuel and are still operational. On the other hand, the Yokkaichi power plant also includes four units: three 220 MW LNG-fired units and the 585 MW Yokkaichi-4 CCGT unit. From now on, only Yokkaichi-3 and Yokkaichi-4 will be operational. Learn more about Japan’s biomass power plants at CMT’s 9th Biomass Pellets Trade & Power on 14 - 17 May, 2018 in Tokyo, Japan. Japanese company Sumitomo Corporation has acquired approximately 48% equity interest of Canada’s Pacific BioEnergy Corporation (PBEC). PBEC in turn has also bought 34% minority interest in Pacific BioEnergy Limited Partnership (PBLP) – giving it 100% ownership of the Prince George manufacturing facility. Sumitomo Corp has several power generation plants in Japan and it imports a sizeable amount of wood pellets to fuel its biomass power plants in the country. This acquisition by Sumitomo is to ensure stable supply of renewable biomass feedstock for its several biomass plants in Japan in the long term. The wood pellets produced by PBEC are of industrial scale and are mainly sold to European and Asian markets. PBEC facilities including the PBLP facility and affiliated manufacturing facilities in Chetwynd and Ft St John produces and markets over 550,000 tonnes per annum of industrial grade pellets. PBEC also has a partnership with the Nazko First Nation in Quesnel that runs a 200,000 tonne per annum Biomass Preprocessing Facility converting low grade timber into merchantable saw logs, high quality pulp chips, furnish for pellet manufacturing and hog energy fuel. 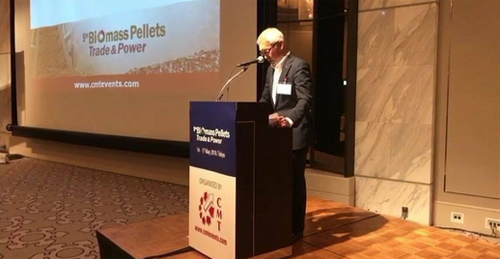 Learn more about wood pellets supplies to Japan at CMT’s 9th Biomass Pellets Trade & Power on 14 - 17 May, 2018 in Tokyo, Japan.